The foundation of Villarrica is part of our history as a chain link in the founding of cities and strongholds , the product of the conquering expedition to the south of the country have attacked Pedro de Valdivia in late 1549 , for a period of more than two years . After conception founded in October 1550, Imperial in October 1551 and Valdivia in February 1552 , sent from Geronimo de Alderete Valdivia , captain of trust, founded in April 1552 Villarrica , in the military strategy rather than security , had decided at a previous inspection . Precisely at the top that connects the lake with the river discharge into Toltén ( flanked on the north by the two bodies of water ). For then this land area was occupied by two main towns, and Pehuenches Huilliches . The life and growth of the colony was abruptly interrupted by the tragic death of Don Pedro de Valdivia at the hands of the rebels Araucanian , December 23 , 1553. This marks the beginning of the first Mapuche rebellion against Spanish hegemony , forcing residents of Villarrica join the Imperial to better address such rebellion . This abandonment of the city occurs in January 1554. Finally, after some political blunders and conflict of power, defined audience Francisco de Villagra as the successor of Pedro de Valdivia , thereby , complete lack of single leadership , which was taking the colony . The restocking of Villarrica occurs in late December 1555 and early January 1556 . 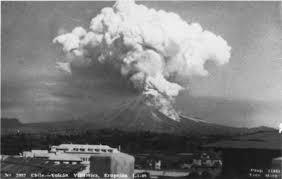 Following this year nothing came easy for residents of Villarrica , a relatively frequent skirmishes had to break up the natives who wanted to take the city and plunder , which meant fighting with great courage to break the natives , eliminating the rebel leaders . The Mapuche uprising of the late sixteenth century , the second century after toqui led by Lautaro , with its series of deaths, captives havoc on farms and destruction of cities, sank the emerging colonial society , in a crisis of survival as dramatic as any views or to be seen . Villarrica itself , most suffered from the rising cities of the southern kingdom , which for the exceptional value of its neighbors , led by Rodrigo de Bastidas , her ordeal lasted for three years of siege by the indomitable opponent . For when it ends this site the city was in ruins , everything had been burned and looted , and only left intact the nerve and courage of 11 men and 13 women who were prisoners at last. Rodrigo de Bastidas was brutally slain and removed his heart to strengthen the courage of their captors. With the end of the siege of this city, is completed to demonstrate , on the one hand , the fragility of the power of the Spanish crown in America , and especially in the southern cone , but at the same time, the libertarian spirit and genius unique warrior natural part of the world . This concludes a heroic stage Villarrica and enters a dream that lasted almost 3 centuries . The southern army , based in departed Angol Villarrica south to form the November 20, 1882 with a front of 400 men . It was not easy and that they had to cross roads in very poor condition and had to break through the thick forest. Here came the first 50 residents to take charge of the work themselves which means take a population base . General Urrutia commanding a large army , and on behalf of the government of Chile , meets in Putuo , representatives of the various biases of the area , led by the principal chiefs araucanos : Leandro Penchulef , Lord of Putuhue , Luis Aburto Aquiñanco Lord of Niguen and Saturnino Epulef , Lord of Villarrica . All those accepted , although some hard-pressed by the apparent reality of the facts , not wanting to finally allow the final occupation of the land and the ruins of the city and thus acknowledge the authority of the government of Chile in the whole territory . Thus ending the bloody war of Arauco , or ” The pacification of Araucanía “, as it was called by the government . After so long , the city lay under a tree topsoil and compact . When starting the cleanup , an artery was found 16 blocks long , which is supposed to Villarrica would have covered more than 30 blocks . One of the most important remains of the former corresponds to a foundation stone mills , whose round pieces were found in the eastern sector of the city . In this way, gave way to the work of the third foundation of the city of Villarrica , in the same place where Don Pedro de Valdivia decided by more than 300 years ago .